Ireland India Institute presents its first film screening on 8th of February 2018. 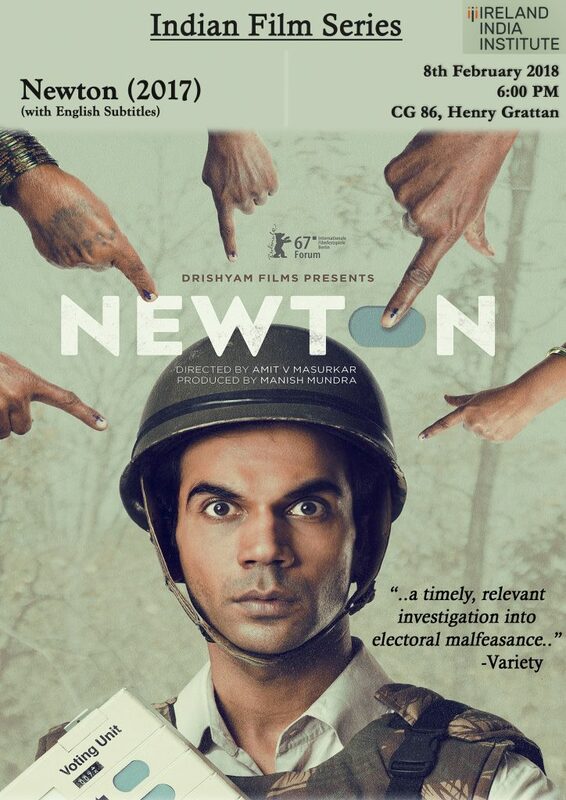 We start our Indian Films Series with a screening of the critically acclaimed ‘Newton’. We would like to thank the director (Amit V Masurkar) and the producers (Drishyam films) for sharing their wonderful work with us. Join us at Henry Grattan building (DCU) in Room CG 86 at 6:00 p.m. on 8th Feb’18!